EARN is an award-winning California-based nonprofit that gives low-income workers the power to create economic prosperity for their families for generations to come. This was a very clean and small facebook design project. 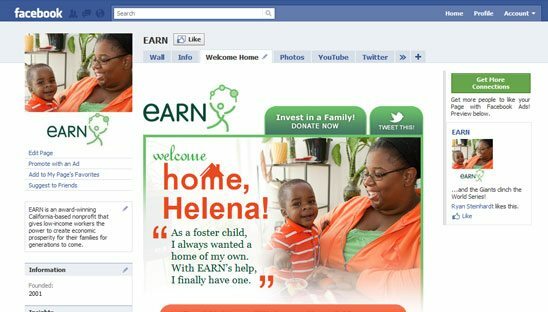 This tab was designed to showcase Helen and to have users send her a custom welcome home message using the FB comments.